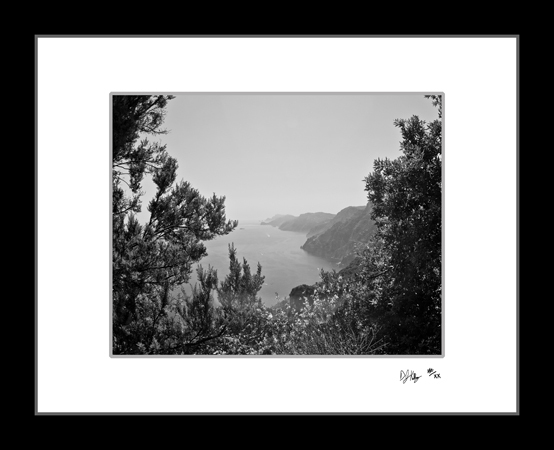 This photograph of the Amalfi Coast was taken from the famous Sentiero degli Dei hiking trail, framing the coast withsome of the vegetation along the trail. The trail known as the Path of the Gods follows the coast from high in the mountains. Beginning in Bomereno and continuing all the way along the coast and down the mountain to Positano. This Black and White photo depicts the beauty of Southern Italy.